Charming, intimate pre-war boutique coop building which reminds you of Europe. The building is ideally located in sought after Sutton Place. The apartment 2B is completely renovated in a modern, chic style allowing contemporary living with old charm. 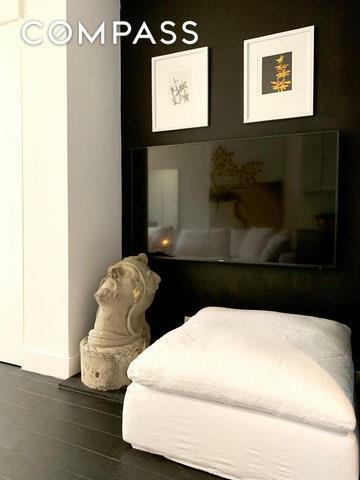 It is quiet and the space has been perfectly used for comfort, which makes it a great choice for permanent home or pied-a-terre. It is on the second floor of a very well maintained building. 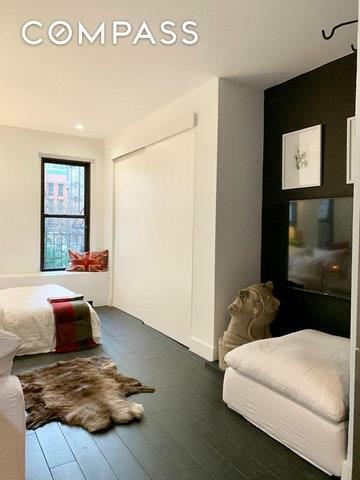 The apartment boasts high ceilings, large new windows that look out at lovely backyard; also includes new oak floors throughout and top-of-the-line stainless steel appliances and two large floor to ceiling built-in closets. Spacious enough to comfortably fit a Queen-size bed, full sofa, dining table and much more. 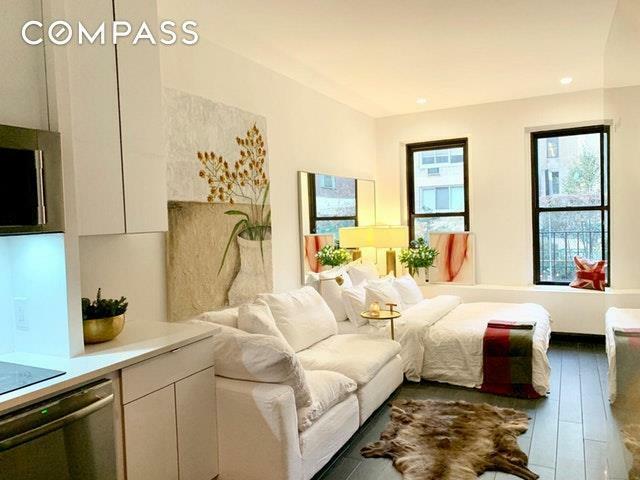 This north-facing apartment is airy and bright.Perfect ownership with a low monthly maintenance of just $576. The mortgage in this coop building has been paid in full. Indefinite 1 year renewable sublets permitted with Board approval. Gifting is permitted. Your pets are welcome!Transportation is accessible at 53rd Street (E , M and 6 trains) and at 59th Street (4,5,6, N, Q and R trains).The neighborhood offers a wide selection of diverse NYC dining, gourmet grocery markets including Whole Foods, Close to several health clubs such as Equinox, SoulCycle and Blink. 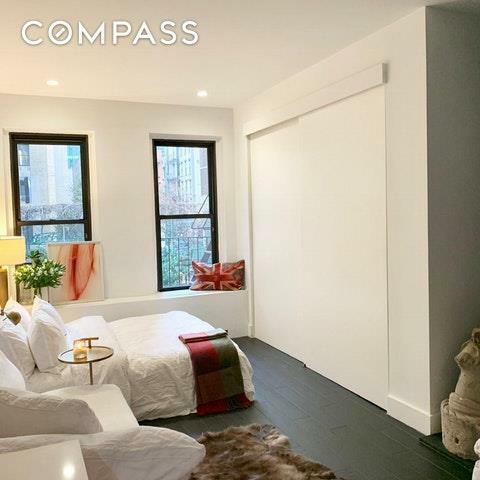 Listing courtesy of Alessandra Da Silva of Compass.